As an extension of its existing relationship with Netherlands-based Damen Shipyards, Metal Shark is proud to offer the new Damen FCS 7011 for the U.S. market. 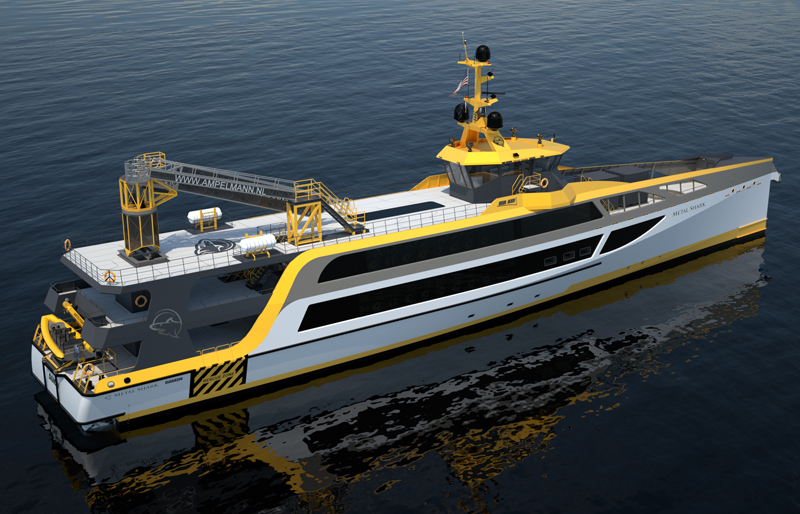 Developed by Damen in response to feedback from leaders in the offshore oil and gas sector, the FCS 7011 has been designed to reduce logistical cost and increase efficiencies in an era of low oil prices, utilizing smart design and the latest technology to bring new levels of comfort, safety, and efficiency to the offshore sector. 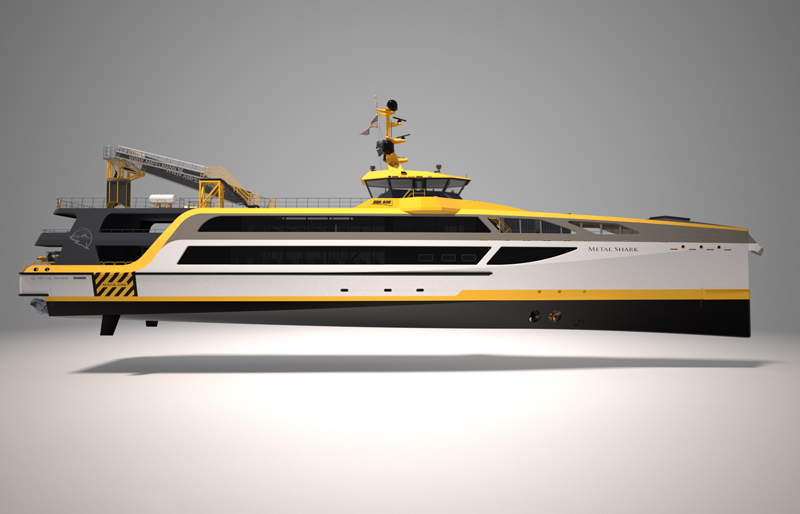 The vessel has been designed to comfortably and safely carry crews at high speeds through heavy seas, with the range and capacity to service multiple platforms on a single trip. The FCS 7011 can easily access deepwater rigs off the continental shelf, delivering personnel refreshed and ready to work. The vessel utilizes Damen’s “Enlarged Ship Concept,” where the hull of a ship is extended to create an elongated hull form that substantially enhances seakeeping, operability and crew comfort by reducing vertical ship motions. The “Sea Axe” bow design represents a further evolution of the Enlarged Ship Concept. Axe Bow vessels feature an extremely slender and deep bow, without any flare, that provides unparalleled soft seakeeping characteristics. The FCS 7011 features an aluminum hull, deck, and superstructure. All components are 100% digitally designed and router-cut to assure precise tolerances and efficient construction under rigid timelines. Metal Shark’s shipbuilding prowess, with over 1,000 vessels in service worldwide, coupled with Damen’s technical expertise and global presence, ensures a state of the art, precision craft that is built to last. The FCS 7011 is produced at Metal Shark’s large vessel shipyard complex in Franklin, Louisiana USA, a modern purpose-built facility boasting a dedicated and skilled workforce, unparalleled safety record, on-site engineering and project management, indoor weather-independent vessel construction, and direct deepwater access to the Gulf of Mexico. The FCS 7011 has been designed to carry up to 150 personnel at speeds of up to 40 knots in exceptional comfort, with interior layout and furnishings custom-configured to suit the needs of each client. 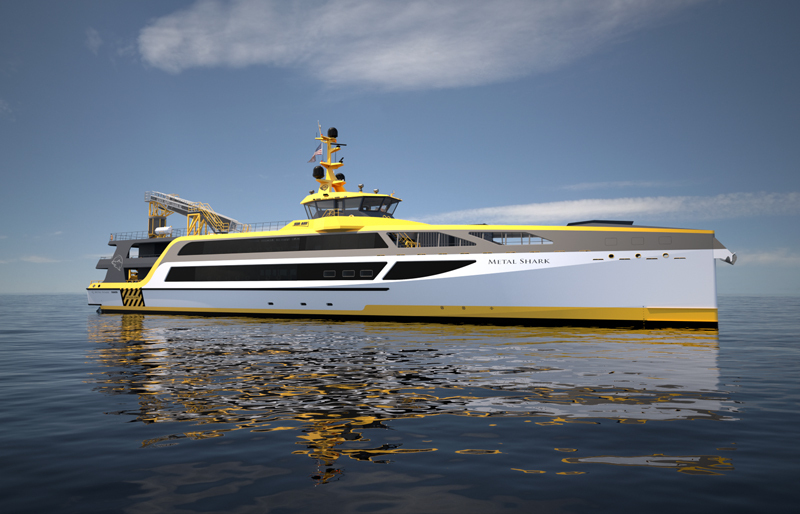 The vessel may be configured in a multi-class seating arrangement, with classes from first with large, fully-reclining seats, to a more basic economy class. Alternately, the vessel may be configured in a simpler single-class arrangement using any seating option the customer chooses. Regardless of layout, there is ample room for passengers to stretch their legs and move about, and large windows provide plenty of natural light. The FCS 7011 features Metal Shark’s pillarless glass pilothouse, which uses large frameless windows to significantly reduce blind spots. This, combined with the vessel’s elevated superstructure, provides ideal visibility for crew. The FCS 7011 is the result of an extensive R&D program that evaluated every aspect of performance and design and included detailed studies of seasickness mitigation, anti-rolling measures, and marine access workability. With its slender Sea Axe hull form, the FCS 7011 has been designed to eliminate slamming and to minimize acceleration. To further mitigate passenger seasickness, the vessel’s entire interior layout has been analyzed and optimized for comfort. The installation of a gyroscope in the hull, the first in the FCS sector, affords additional stability to reduce passenger fatigue and seasickness. To facilitate marine access, the FCS 7011 offers a motion-compensating system, plus a gangway, on its aft deck, in addition to other crew transfer options. Additionally, steerable skegs allow for pinpoint maneuverability while working alongside a platform. The FCS 7011 is produced at Metal Shark’s large vessel shipyard complex in Franklin, Louisiana USA, a modern purpose-built facility boasting a dedicated and skilled workforce, unparalleled safety record, on-site engineering and project management, indoor weather-independent vessel construction, and direct deepwater access to the Gulf of Mexico. 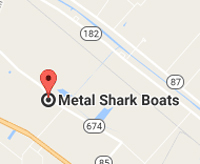 Metal Shark employs an in-house team of 40+ naval architects and maritime engineers, and utilizes military-honed QA processes and advanced project management tools to keep projects on track. 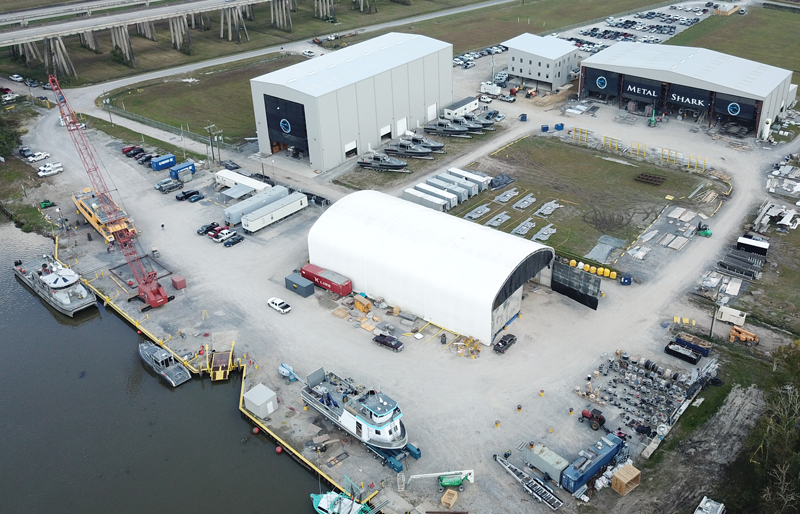 The company has extensive experience in producing custom vessels for a wide range of operators worldwide, and the Franklin facility is noted for its industry-leading track record of notable on-time deliveries. For information about the FCS 7011 or any other Metal Shark model, we invite you to contact us today.